Cleve Merrill Dibble, beloved husband, father, brother, uncle, cousin and friend, passed away in Layton, Utah, on July 4, 2015, of pancreatic cancer. He was born on March 26, 1948, to G. Ralph and Carmen Merrill Dibble, the third of seven children. He attended Layton Elementary, Central Davis Junior High, and Davis High School. He was always proud to be a Davis Dart! He served an LDS mission in Italy. Following his mission he attended Weber State College, where he met Barbara Ann Neuteboom. They were sealed in the Salt Lake Temple on April 8, 1971, and are the parents of seven children. Cleve received a bachelor's degree from Weber State College, and later a Master of Educational Psychology degree from Brigham Young University. He also received an Administrative Endorsement from Utah State University. 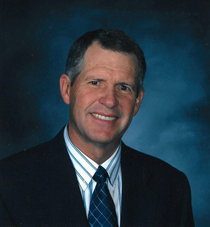 He served thousands of students throughout his career in education, first as a teacher at Clearfield High and Central Davis Junior High, later as a counselor and administrator at Layton High, and finally as principal at Holt Elementary and Kaysville Elementary. He had a great love for people and saw the good in everyone. Cleve loved the Lord and was a faithful member of The Church of Jesus Christ of Latter-day Saints. He served in many capacities. He served as bishop of the Layton 2nd Ward and as a counselor in the presidency of the Layton Utah South Stake. Accompanied by his wife, he served as president of the Italy Padova Mission from 1995 to 1998. He later served as president of the Layton Utah South Stake. He and his wife served as missionaries with LDS Family Services and then as directors of service missionaries worldwide for Farmland Reserve, an agricultural entity of the Church. Cleve grew up on the family farm in west Layton and had a great love for and understanding of the land. He was grateful to be able to work the family farm throughout his life. He was generous with his produce and his time and was a trusted advisor to farmers in the area. He employed countless young people through the years, guiding them with high expectations coupled with patience. He loved the Boy Scouts of America and received the Silver Beaver award. Cleve is survived by his wife, Barbara, and their seven children: Emma (Aaron) West, Kaysville; Mary Ellen (Blake) Haycock, Layton; Merrill (Kellie), Bakersfield, California; David (Elizabeth), Orem; Kenneth (Stephani), Layton; Anna (Cord) Memmott, Layton; and Margaret (David) Simon, Kaysville. He is also survived by 23 grandchildren, as well as his siblings: Ann (H. Dee) Call; Marie (Willis) McComas; Kent (Barbara Jean); Jane (Jim) Hales; Ruth Wood (Kirk) Bourne; and Ellen (Tyler) Cox. He was preceded in death by his parents, his brother-in-law Brett Wood, and his foster daughter, Sandi Love Fikstad. The family would like to thank all of the doctors, nurses and staff members who served them during Cleve’s illness for their compassion and care. Funeral services will be held Saturday, July 11, 2015 at 11:00 a.m. at the Layton Legacy Stake Center, 752 North 3700 West, Layton. There will be a viewing Friday from 5 to 8 p.m. at Lindquist’s Layton Mortuary, 1867 North Fairfield Road and Saturday from 9:30 to 10:30 a.m. at the church.